This is the second CD of music by the legendary Billy Mayerl, who was one of the most successful and brilliantly gifted composer-pianists of his generation - the generation that spanned the Second World War. Mayerl's twice-weekly radio programmes became compelling listening for literally millions of Britons, both here and on the Continent. Mayerl's original records equally sold never less than in their tens of thousands - some of them, considerably more - with the effect that his early death just over 50 years ago was front-page news all over the world. As a composer, Mayerl - a classically trained pianist - had the priceless gift of melody which, combined with his dazzling pianism, proved a uniquely winning formula for decades. In technical terms, his music often demands a finished command of the keyboard, placing his pieces beyond the skill of most amateur pianists. Mayerl played the Grieg Piano Concerto at London's Queen's Hall when still in his early teens and gave the British premiere of his friend George Gershwin's 'Rhapsody in Blue' in the composer's presence. 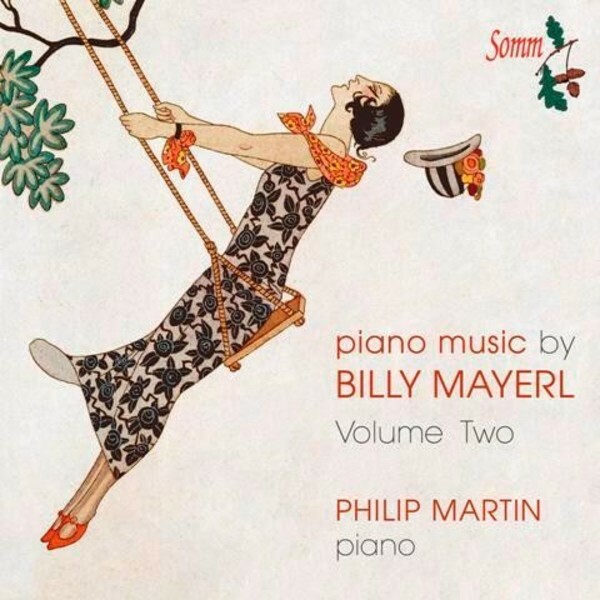 Volume One of The Piano Music of Billy Mayerl with Philip Martin [SOMM CD0124) has proved conclusively that there's a new and ready market for this brilliantly written and attractive music - and here is the equally fine follow-up disc, with more of Mayerl's inspired compositions for a new generation of listeners.